That leg where we were in France, we had no sleep in twenty-four hours. Actually, that baguette in France was the first thing that we had to eat and I actually didn't drink anything for twelve hours. So you're sleep deprived, you're hungry, you're water deprived, and you're just exhausted. THE DEADBOLT: Was there anything from your time on the race you wish was aired, something that we didn't see? JOE: The Hamburg leg was a crucial leg where the cops [Louie and Michael] were actually at the end of the pack and their flight, low and behold, got them there earlier even though we were supposed to arrive an hour ahead. That was a turning point. Those are the chances that happen on the race. so when we were in the long mandatory rest period after the Argentinean leg at that sheep ranch, we all spent a good 30 hours together And that was the only time we were not in a sequester mode where we could actually have meals together and have some conversations with the other teams. And yeah, we were all in very good spirits and we were trying to make the best of the situation, camping in Argentina and not having showers and things like that. It was a good time. Reality TV World: So what happened during that ticket line incident, where you were holding spots in line? Joe Wang: Oh yeah, no, no. That was not "holding a spot," if you want to call it that. We were at the bus station and Brandy and Carol went with us. And then they ended up going to another station to make sure we had the best bus route. So for us we had to stick together as a team, and so I was in the front of the line and then Brandy and Carol ended up coming back and said "This is the best bus route." So because they were researching information for us, and we'd agreed prior to getting into line, that's what ended up happening. So the cops were not understanding the situation. We weren't holding any spots, they were already in line with us but they had to go and research for us too. Joe Wang: We were trying our very best. I mean we were there for close to six hours and then it got dark and the weather changed dramatically, it started to rain. So I was giving Heidi a lot of shelter, her whole body was shivering. And if you remember, when we left we didn't have anything to eat or drink since 8:30AM. That was close to almost 12 hours. Specially like getting the confirmation that ESM is no more.... I mean I hate that for the racers, hate that production has decided that keeping them apart breeds more drama, but still glad to see that teams still find ways to bond at airports and all. Yeah but... with all due respect, of course he's not going to say he was cocky. Of course his side of the story will have himself as the good guy/victim... I would like to hear the Cops' side of it. I don't think (unless we have other sources, that Joe's comments mean that teams can't ESM, but that on the average Pit Stop (12 hours sometimes less) they choose not to. Teams often (unless they literally arrive at the same time) don't eat, sleep and mingle at the same time during Pit Stops. Often arrival times make that impossible or at the worst unwise. Many times its the extended Pit Stops where teams get the time to ESM together, the other major friendship building time is on long forms of transport. Now it seems to keep costs down we see less of these, but I don't think they have been gotten rid of for drama, but to save production time, which is of course money. If I were on the Amazing Race (be assured that nobody will be subjected to that), I will take as much of the precious pit stop time for sleeping. Carousing has its merits, but replenishing your body under Amazing Race task/transportation conditions is paramount. I would eat and you have to spend time with the WRP staff, but after that I would get the maximum sleep I possibly could. Soooorry peach... I got carried away in the moment. *Note*: These departures were not twelve hours after arrival at leg 5's pit stop. I am not sure, but I thought I heard a word pronounced phonetically like Prawlay was mentioned by a local. It was for finding the boat between La Digue and another island. There is an island named Praslin right next to la Digue, so probably that is the one. Yes, apskip, the pit stop was on Praslin. Steve & Allie left their bags on La Digue, so if they were to go back they should have done it right away, before (or soon after) embarking for the Roadblock. Gotta love Jet's watch. Ep 7 check in time: ~2:27?? We have teams flying into Hamburg and racing on the evening of 5 Dec, followed by a mobile Pit Stop without any extra rest (I think Louie/Michael talk about not having enough sleep in the Insiders). That means the Verdun leg took place on 6 Dec.
We then have teams talking about the U-Turn that happened "yesterday" on the Reims leg, meaning that it was another short leg, taking place on 7 Dec. Teams check in on the evening of that day. I'm not getting good enough weather information to confirm this, though. Phil's flight out of the Seychelles into Malaysia suggests that this leg took place on the 11th, and just as well, there is a direct flight (which Brent/Caite's booking system shows) on the evening of the 10th, but not on the 9th. I would think that Phil took the direct flight out on the evening of the 8th. Does this mean that teams had a 60h Pit Stop in Epernay? We have to remember we see them leaving at night, driving thru dawn to CDG. I expect that they were given a LONG wait at the airport to allow for any of these not-so-good-at directions teams to arrive WELL in advance of the only flight, to ensure they all make it on. My guess would be more like a 48ish hour stop. Phil did say that they left on the opposite hour of day, though. 48h would give mean the lead teams leave in daylight. 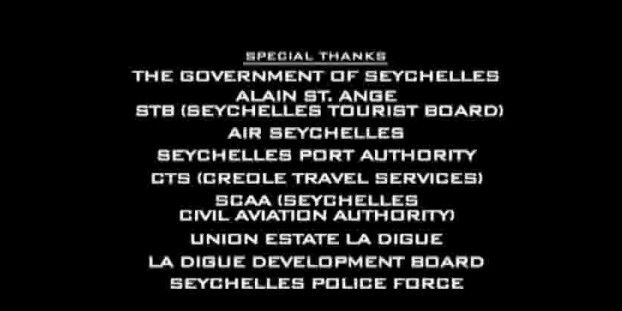 They did have plenty of time, the flight to the Seychelles doesn't leave until 7pm. I thought you said they checked into Epernay on the eve of the 7th?? So, above is the timing of AR16 according to apskip. Poke holes in it and use it as you see fit. The summary is woden's baby this time, and a darned good job too! Steve/Allie's train into Hamburg arrived at 8.35pm. Assuming that the fastest time to complete this leg is no shorter than an hour and a half, they would have checked in at no earlier than 10.05pm. Jeff/Jordan check out of Les Monthairons 2h 22min after Steve/Allie, meaning that they checked in at or after 12.27am on the morning of the 6th. They've had some time to freshen up and change a shirt - Jeff changes his T-shirt before they board the bus at the hotel. With the post-leg transport and logistics that need to be done, which would take at least half an hour, I suppose the earliest they can leave Hamburg is at 12.57am. Les Monthairons is 773km (480mi) away from Hamburg, a journey taking 7h 16min by car according to Google. That puts them into the Pit Start after 8.13am, possibly an hour or two later depending on the speed of a bus relative to that of a car. Louie/Michael leave the Pit Stop at 9.35am, after giving probably a short confessional about where they think they are. Are we cutting it a bit too close for it all to happen within the same evening? Tangentially related: I agree with Woden that the Seychelles leg took place on the 11th. The difference is when the previous leg took place, which depends on how long the Pit Stops were. Unrelated: We know that the Reims leg took place the day after the Verdun leg; Carol and Brandy mention "yesterday" in their Mat Chat. Given that Jordan/Jeff arrive just before sunset at 4.46pm (it turns dark before Phil eliminates Joe/Heidi), and they leave for the next leg at 10.28am, I'd say a ~18h Pit Stop in Wargemoulin? I thought you said they checked into Epernay on the eve(ning) of the 7th?? Yes, assuming the Hamburg Pit Stop was ~12h. Teams released from Epernay on the morning of the 10th would give us a 60h Pit Stop. If Hamburg lasted ~36h then the Epernay Pit Stop would accordingly be 36h. It is impossible for a ~48h Pit Stop as the early teams checked in under daylight at Epernay and left in the middle of the night. Which is what we used, before the season started, to ascertain that the Seychelles leg took place on 11 Dec.
LH9829 2245 1440 GRU FRA This was reported to leave at 2315 and arrive at 1422 on Dec. 6. Best train departure from Frankfurt airport to Hamburg was 1537 arrive 2006. They could not catch either the 1447 departure I can believe that the 1537 departure actually arrived about a half hour late. LH511 2150 1500 EZE FRA (with an actual reported departure of 2208 and arrival of 1445 on Dec. 6. This group should be able to get the 1537 train detailed above. LH4219 1315 1435 CDG FRA (with an actual reported departure 1317 and arrival of 1442) This group should also be able to get the 1537 train detailed above. Now the question is whether teams were able to sort out GermanRail train schedules and look for the first-arriving trains. I saw differences of up to 2 hours on Sunday Dec. 6 actual train durations. If teams went for the first-departing train they could have been screwed. I think your distance from Hamburg to the Verdun area is off by a lot. My info does not show Verdun specifically, but the closest major city is Luxembourg at 513 km 319 miles 277 minutes(verified on two separate but probably affiliated calculators). Add in about 72 km 45 miles 60 minutes for Luxembourg to the Verdun area. the total is 364 miles and 337 minutes. That puts teams into the Les Monthairons at about 7:34am, considerably earlier than your estimate. Hi Apskip, good to see you back in the Timeline Thread! We have the flights figured out on Page 9 while you were away, and all the information we have fit together very well. I think your distance from Hamburg to the Verdun area is off by a lot. I think you're using straight-line great circle distances on flight calculators! I was using road distances on Google Maps. Taking the A7 via Frankfurt would measure 808km, while the A1 via Bonn adds up to 773km. Given how Joe magically had ice for his knee on the bus, could it be possible they had an extended pit stop to allow a doctor to look at his knee to see if he was clear to continue (a la Andy/Laura)? Regarding some of the questions about time, I noticed that CBS is posting press photos each week after the episode airs. I don't have access to them, but if someone does, perhaps they could check to see if Exif data is still attached. It would help in nailing down on which day certain events occurred.